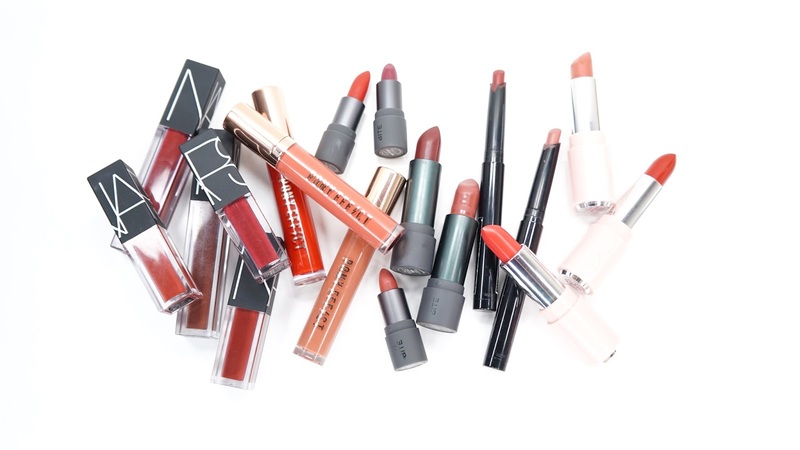 I tried to narrow my lip favorites as much as possible and it also helped that I also posted a lipstick collection favorites post pretty recently (that you can read here). I tried to just narrow my choices to what I loved most this year and ignored last years choices. I still lovelovelove some of the choices from last year's favorites post (here), but I've already raved about those enough. Real quick - I did love the Pat McGrath Lust 004 Lipsticks in Flesh 2 and Venom 2 but those were Limited Edition and I don't think they'll be coming back any time soon. The review is here if you're interested, but a quick summary is that these are amazing! They're surprisingly long lasting considering they're a very creamy lipstick and they are very comfortable to wear. If I was going to wear a lipstick, it was one of the above choices. The NARS Velvet Lip Glides were a late 2016 purchase (NARS x Sarah Moon Set review here), but they're so amazing that I ended up buying two more full sized colors almost immediately. They don't really dry down, but the slightly shiny velvet finish looked and felt great. I also liked that they could be blotted down or sheered out to be more wearable. Unfortunately, some colors were a miss and did look patchy. Another hit or miss based on shade choice were the Pony Effect Stay Fit Matte Lip Colors, but luckily the only miss shade I've tried so far is Fantastic. 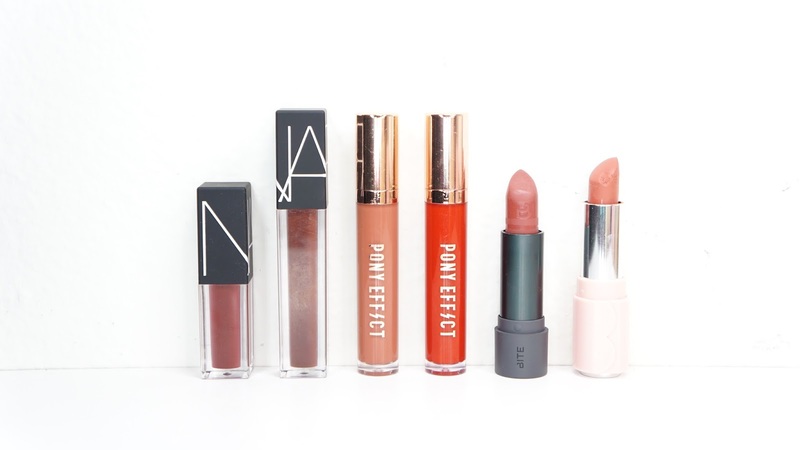 My favorites from this line are On Fleek (a very slightly slightly peach/orange medium brown) and Incredible (a standard bright neutral red). The formula really shines in both of these shades in that it's like mousse, light, and still comfortable to wear all day long. If you're looking for an overall hit with every color and amazing line of lipsticks, I highly recommend the next two brands/ranges! I've tried eight shades from the Bite Beauty Amuse Bouche range and all of them have been great! They all had the same amazing smooth and creamy formula and they're all so incredibly pigmented. The colors shown above starting clockwise from the top are Gazpacho, Cremini, Liquorice, Portobello, Beetroot, Nori, Verbena, and Chai. 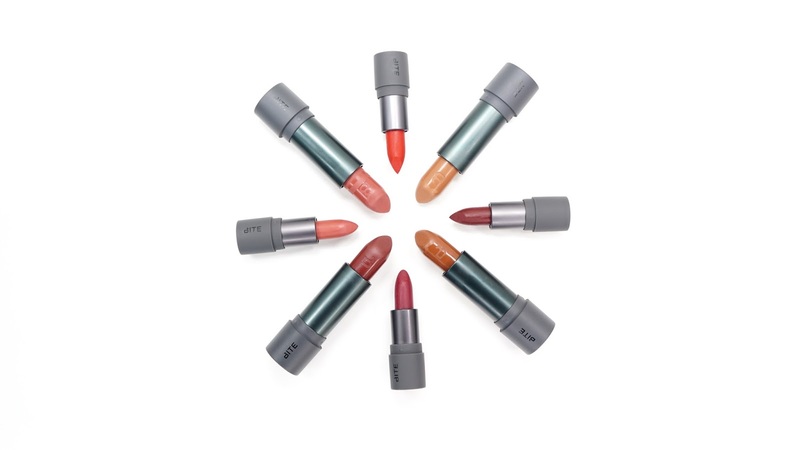 Chai was actually my first Amuse Bouche purchase and it was what started my obsession with these lipsticks! I'm fully intending to collect more from this range as well and I can't wait to see what other colors they'll bring out. 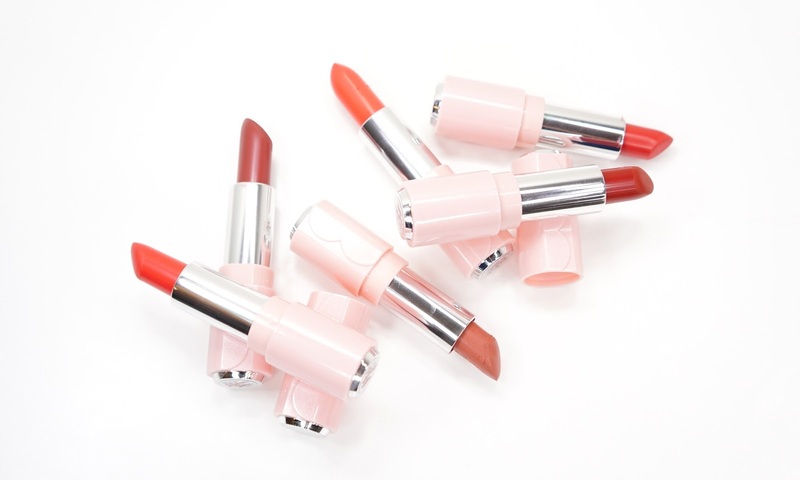 Another line of hits is the Etude House Dear My Blooming Lips Talk Chiffon Lipsticks! I did a full swatch post here as well of all the above shades. I did receive BE109* and PK029* for free from Etude House as part of their Pink Bird / PR Program and the review of just those two shades is here. I fell in love with the formula so quickly that I bought 4 more almost immediately. BE109 quickly became one of my go-to shades as well and I ended up buying a backup since the one I initially received for free broke. The only con is that the color range isn't as great as the Bite Beauty Amuse Bouche shades. and that's it for my picks from 2016! Do you have any of these shades? What were your favorite lip products from 2016? *As mentioned in the post, I received the Etude House Dear My Blooming Lips Talk Chiffon Lipstick in BE109 and PK029 for free for reviewing purposes. All opinions are my own and 100% honest.